Peruvian President Martín Vizcarra. Photo by Presidencia Perú, Flickr. 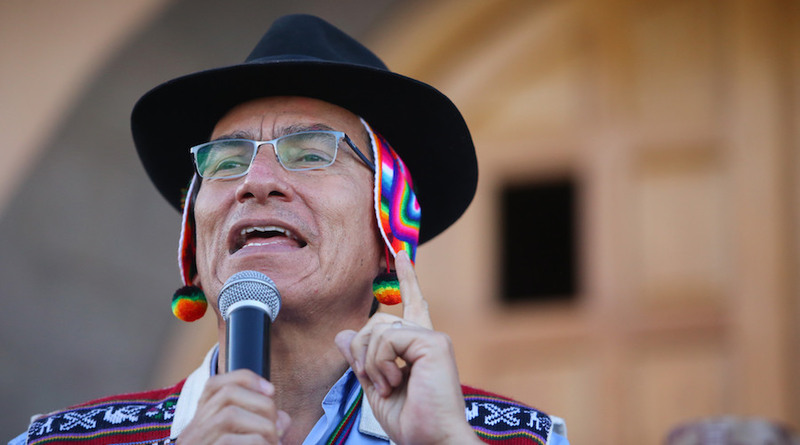 Peru’s new President, Martín Vizcarra, said Saturday that he was in favour of promoting mining development in his country as long as it is done in an environmentally responsible way. During a visit to the southeastern region of Puno that has been severely affected by illegal mining operations, Vizcarra said that he is “pro-development” and that all projects that involve bringing progress to the region where they take place will receive his approval. The President explained that, in his view, development means that mining operations help improve communities’ well-being and quality of life while, at the same time, taking good care of the environment. “This type of mining should not affect agriculture, biodiversity or water sources,” he told local media covering his trip to the region where Lake Titicaca, the largest in South America, is located. Martín Vizcarra also said that his government will fight against what he dubbed “bad mining,” the one that damages the environment and does not benefit the towns and cities that surround the operation. He acknowledged that Puno attracts those kinds of harmful activities. The Chief of the Peruvian State added that his Ministry of Energy and Mines is creating a series of strategies to fight “bad mining” so that it is possible to put a halt on the ongoing problem of pollution of rivers and other watercourses.